A fairly common sterling silver souvenir spoon from Florida featuring oranges, an alligator, palm trees, hotels and various other Florida symbols is in truth a small historical treasure. 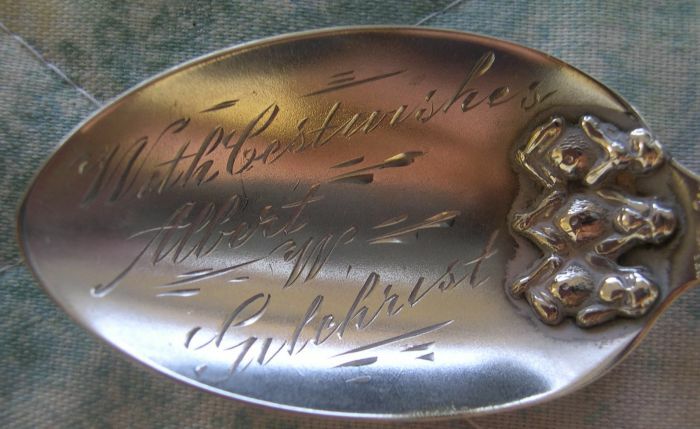 an inscription engraved in script "With best wishes -Albert W. Gilchrist". Florida and a Captain in the US Army during the Spanish-American War. are named in his honor. 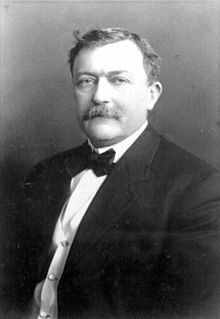 Cigar manufacturing began in Punta Gorda in 1890. 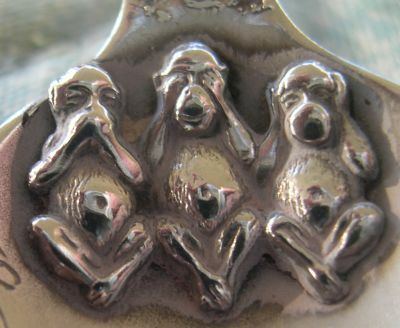 Gilchrist established his Punta Gorda Cigar Manufacuring Co. in 1905 and this factory produced his "Three Monkey Five Cent Cigars"
line with the logo "see no evil, hear no evil, speak no evil"
museum. The museum does not have a spoon similar to this. My guess is that Mr. Gilchrist had this ordinary souvenir spoon custom modified as a present for someone important to him.